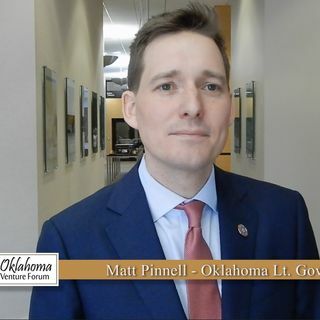 Before he was Lieutenant Governor, Matt Pinnell and his wife Lisa launched Binxy Baby, a company that sells baby hammocks that fit into shopping carts. Today the business is thriving and there are plans to launch two new products later this year. But the Lieutenant Governor still remembers ... See More what it was like at the beginning. “The attention to detail when you’re building a business is so important,” he says. In an interview ahead of his presentation at the March OVF luncheon, the Lieutenant Governor shares what those details look like. “I want to help entrepreneurs connect with the resources they need,” he says. Interviewed by Kyle Golding for The Golding Group.